Shelfabililty: Burn Rubber to Get it!!! Brianna is lost for the fourth time in her life. Each time was unexpected, and each changed the course of her future. The first life-altering event occurred when her mother died, and she moved to Minnesota to live with her father. The second was when she was kidnapped at the age of seventeen and forced to be a slave. She would never forget those ten months. Brianna thought her life was over. Everything changed again the day Stephan steamrolled into her life and brought her home to live with him. She had no idea what to expect—what life with her new Master would hold. That first month with Stephan was, in some ways, more confusing than the prior ten. As a slave, she’d known her place. With Stephan everything was new and different. He’d given her freedom and so much more. Five months after Stephan rescued her, Brianna once again finds her life flipped upside down. 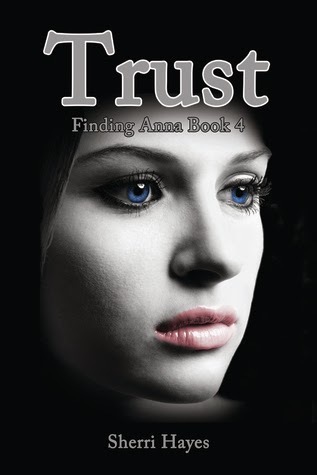 In this fourth, and final, installment of Finding Anna, Brianna must unearth strength she never knew she possessed. Stephan can no longer protect her from the outside world. She must learn to trust herself, embrace who she is, and discover who she wants to be. Only by facing her demons can Brianna find true happiness and peace. I hate it!!.. The end I mean....No, I mean the fact that the series is ending. Yes it's a five star review for a book I hate. How dare Sherri end the story here!! I need more!!! More Stephan more Brianna more damn it more!! I really actually loved the story. I took two extra days to finish the story because I just didn't want it to end. I actually started reading at 230 in the morning and woke up at 330 because I just needed to know what happened. I read until I fell asleep holding my kindle at just the perfect angle. LOL. *Enough about you we want the review* Well exxxccuuuussse me ( five points if you know what show that is from!!) Ok I'll quit being a brat. I LOVED the story. This is a wonderful and beautiful conclusion to the series. Not too much high drama, lots of soul searching, lots of growing, meeting of minds and families. I loved reading from the different POVs, I particularly liked the beginning of the story being from Cal's point, so we could learn what happened; without it coming from Anna. Sherri answered so many of the questions we had, and gave us a much needed glimpse into the hearts of all those involved. The story still had it's emotional moments, poor Brianna was put through the wringer this go around. Every time we think she's getting a chance to get some little glimmer of happiness, something else happens. This book had the most grow for Brianna, not just as a survivor but as a woman in her relationships, and not just with Stephan. My favorite character, however, has to be Jade, she's just so loving and open and willing to go to bat with everyone to make sure Brianna was being heard. I loved her immensely, she gave Brianna a safe haven, one she didn't think she had without Stephan. I'm glad some of my earlier fears were discussed and actions taken, I, also was hesitant about the time frame of the story and Sherri handled that beautifully as well ( I needed have a worry, she went at it in a great way). I'm sad to see the characters go and I hope we get a novella somewhere, sharing a little more about their lives, or maybe even guest appearances in other stories?? Please ?? *hint, hint* I was lucky enough to read the book as an advanced reader, but when it comes out??!!! I'm breaking the book buying ban to purchase a copy for my shelves. That's how much I loved it. Have you read the series?? Are you looking forward to reading this newest edition? ?